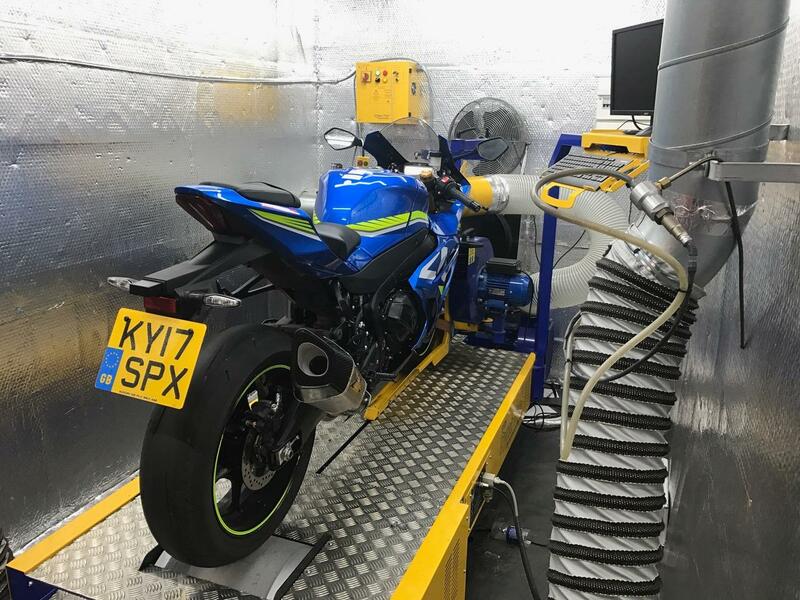 Suzuki’s new GSX-R1000R might have a new chassis, a raft of electronic rider aids and clever VVT motor, but when it was finally unveiled, all the talk was about its humungous exhaust can. It had to go and in its place I’ve fitted a Yoshimura Titanium R-11sq slip-on race can (£734 www.performanceparts-ltd.com). 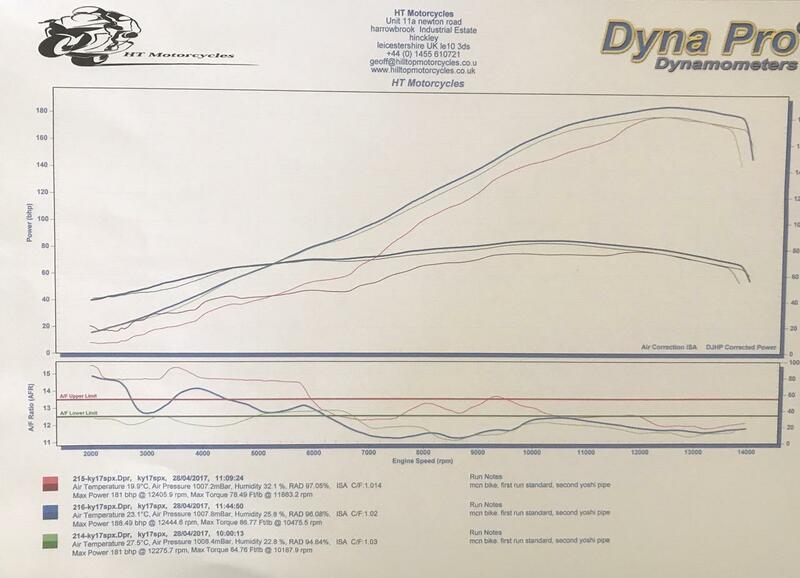 But to see how much difference it would make to performance I first took my Suzuki to Geoff and Mark at Hilltop Motorcycles (www.hilltopmotorcycles.co.uk) to see what power it makes in standard trim on their Dyna Pro ram-air dyno. Stage one: how much power does it make out of the box? 181bhp, with an impressively smooth spread of power and torque through the revs. The fuel mixture is bang-on, too, although on the road it’s snatchy off a closed throttle at low revs. With the smaller, 1.2kg lighter Yoshi can fitted, power stays at 181bhp, but the engine runs lean, loosing a big chunk of its midrange. It sounds much frutier, but not too loud (96db@5500rpm on Brands Hatch’s noise meter without the baffle). The final piece of the jigsaw is to alter the fuelling. Hilltop Motorcycles write their own, undetectable, maps, which they install to an empty space in the standard ECU. 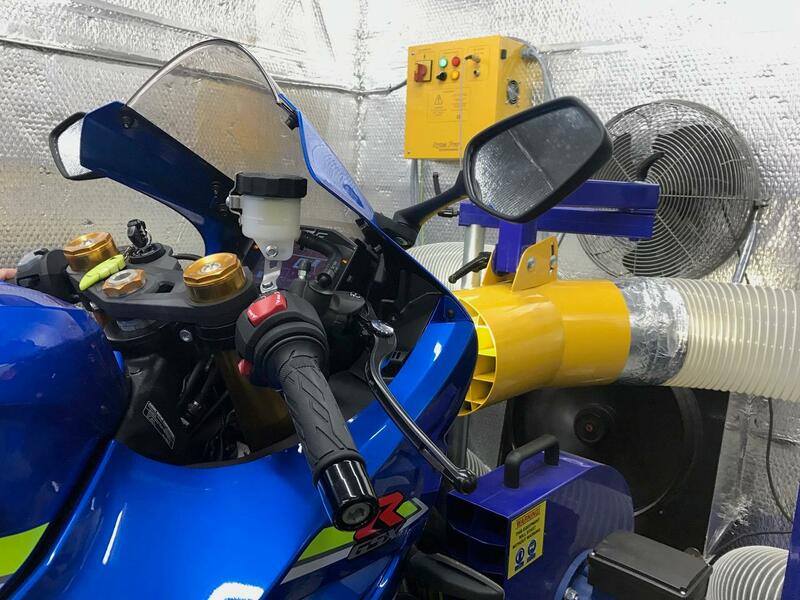 Taking readings from Suzuki’s airflow sensor the mapping is self-learning and will constantly change the fuelling depending on conditions. With the mapping complete power remains at 188bhp, but the stock power curve and fuelling returns, giving you the best of both worlds: elastic power low down and a searing top end. The throttle pick up has improved, but it still comes in too harshly especially in low speed corners on track. 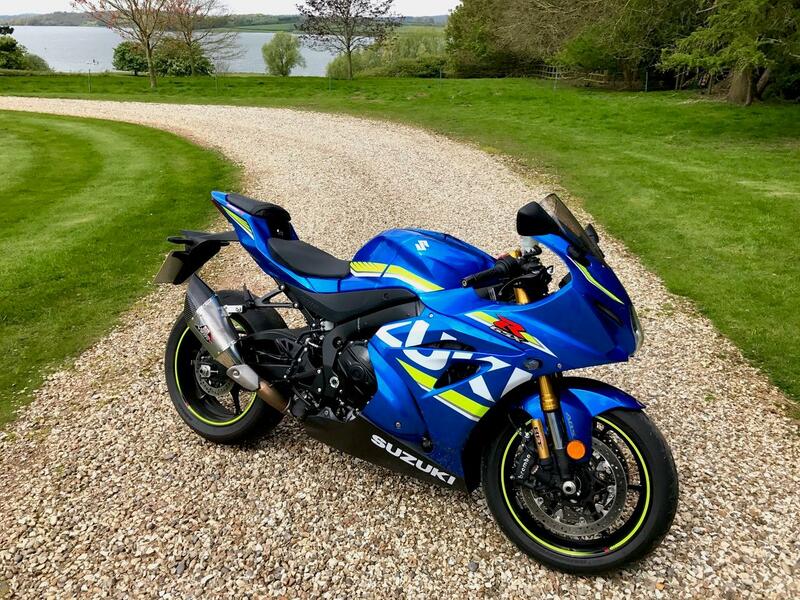 What all this proves is that firstly the standard Suzuki can may look ugly, but it actually works brilliantly with the engine. It doesn’t contain any Euro 4 gubbins, just cleverly routed, twin silencing tubes, so it’s not that heavy, either. Secondly, if you’re going to fit slip-on can, you’re likely to unleash more noise and power, but you’re likely to mess up the motor’s power balance and destroy its everyday road manners.